The ‘something old, something new’ tradition, is meant to bring luck and prosperity, but finding something borrowed or blue can sometimes prove tricky. Every bride knows the traditional wedding superstition, ‘something old, something new, something borrowed, something blue’, which is supposed to bring the new couple luck and happiness. But while it may be relatively easy to find something old and new, finding something borrowed or something blue sometimes requires a bit of creative thinking. One of the most obvious (and meaningful!) items to borrow is your mother’s or grandmother’s wedding dress (providing it’s still in wearable condition). Get it tailored to bring the style up to date, or wear it as it is for a truly vintage look. If you don’t want to, or can’t, wear the dress as a whole, try incorporating parts of it, such as a lace trim or intricate beading into your own outfit for a bespoke look that has special meaning. Veils are also a great item to borrow as they rarely go out of fashion. 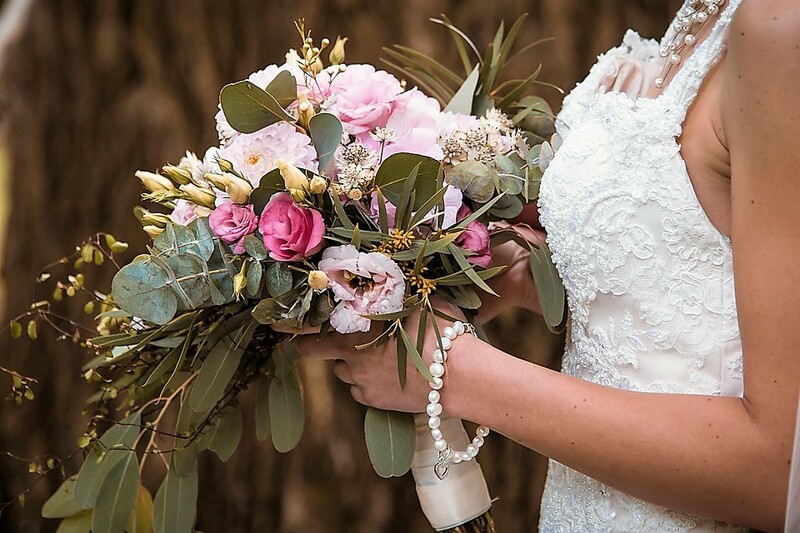 From brooches to rings, necklaces to lucky sixpences, family heirlooms are a great option when it comes to finding your ‘something borrowed’. If the item doesn’t work with your outfit, you can always incorporate it in another way, for example by sewing it into the lining of your dress. Rings that don’t fit can be tied to your bouquet with a piece of ribbon. If you’re not sentimental about keeping your dress after the big day, you might want to consider renting your wedding dress. There are some great, reputable companies out there that offer this service, and, as well as providing you with your something borrowed, it can also save you a significant amount of money! Of course, there’s nothing to say that your ‘something borrowed’ has to be a physical object. Why not borrow a first dance song, special reading or wedding vows from a close friend or family member’s wedding? You could even borrow your gran’s recipe for a delicious wedding cake! 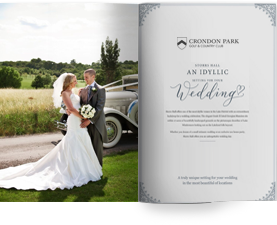 Coloured wedding dresses are really on trend at the moment, and a blue dress is a great option for any non-traditional brides out there. It doesn’t have to be bright blue – there are some beautiful soft pastel shades out there which offer the perfect romantic option for your wedding day. 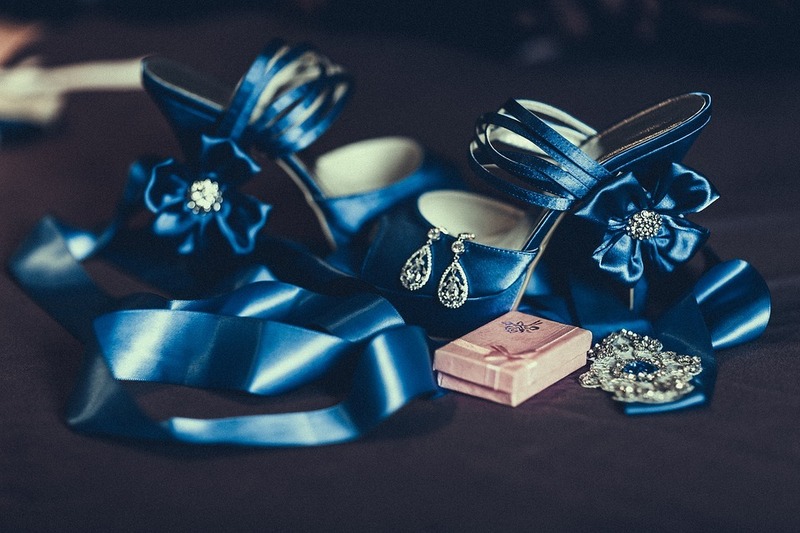 If a blue wedding dress is a step too far for you, why not opt for blue shoes instead? They’ll be mostly hidden by your dress during your ceremony but will provide a welcome splash of colour when you’re dancing up a storm at the reception. Alternatively, use blue rhinestones to spell out a message such as ‘I do’ on the soles of your shoes. Your bouquet is the perfect opportunity to add a touch of blue to your wedding. There are some beautiful blue flowers out there, including hyacinths, irises, hydrangea, orchids and delphiniums. 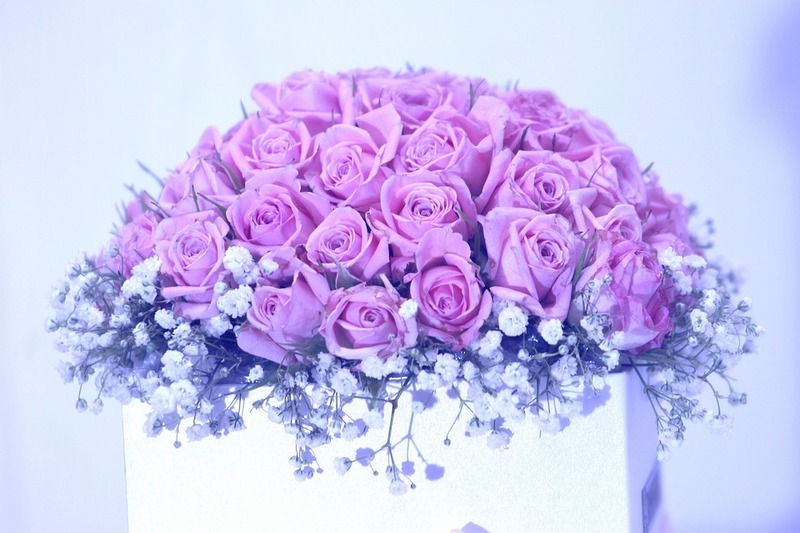 Before meeting with your florist think about what shades of blue you prefer, and you can then narrow down your options according to what’s in season. If you’re a fan of the colour blue, why not go all out and use it as your colour scheme. We’re thinking blue bridesmaid dresses, blue buttonholes and blue venue decorations. 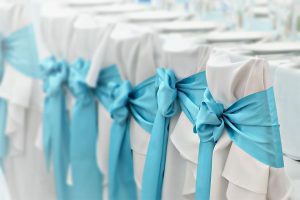 Chair covers with blue ribbons, blue-tinged centrepieces and hanging pom-poms in different shades of blue add a sophisticated pop of colour and look great in large and small wedding venues alike. The something borrowed, something blue tradition is a charming ritual that can be incorporated into your wedding in a number of different ways. And whether you prefer to give a subtle nod to the rhyme or make a bolder statement we hope we’ve given you some inspiration on how you can embrace this tradition and make it work for you and your wedding.